You Gotta Love Those Tarantulas! 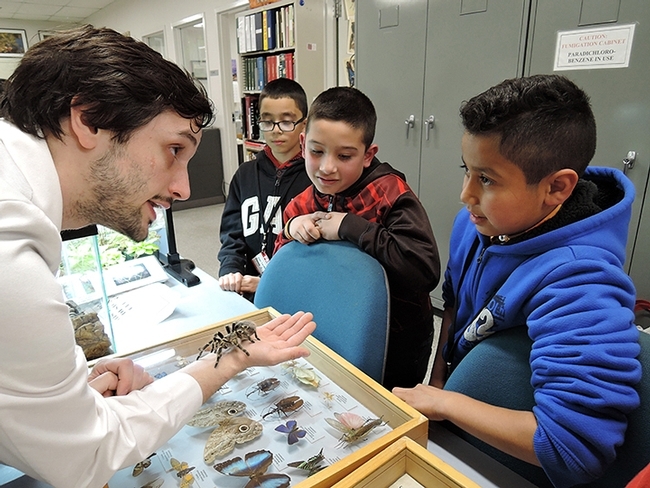 You gotta love those tarantulas at the Bohart Museum of Entomology at the University of California, Davis. If you don't love them, then at least you'll love their names. Who couldn't love a tarantula named Peaches or Snuggles , two of the first residents? 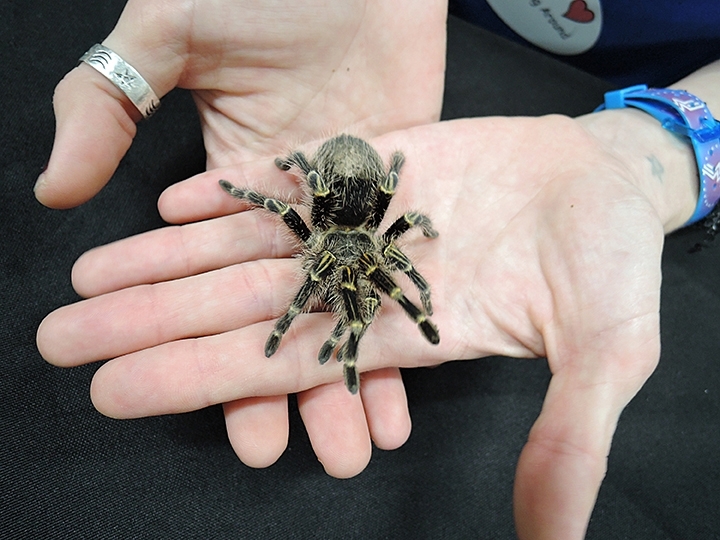 Now a crowd favorite is Coco McFluffin, a chaco golden-knee tarantula. Princess Herbert, which Bohart associate and entomology student Wade Spencer describes as "the salmon pink bird-eating tarantula, the second largest KNOWN species of tarantula and OUR largest spider." Of these, only Coco McFluffin is handable, Spencer says. Or as Lynn Kimsey, director of the Bohart Museum, says: "Some of the tarantulas get grumpy like people do." Meanwhile, the scientists at the Bohart Museum, home of nearly eight million insect specimens (plus their live "petting zoo" and gift shop), are gearing up for the eighth annual UC Davis Biodiversity Museum Day, set Saturday, Feb. 16 at 13 museums and collections around campus. Exhibit hours range from 9 a.m. to 1 p.m., and from noon to 4 p.m. The science-based Biodiversity Museum Day, exploring the diversity of life, drew more than 4000 visitors to the campus last year, according to spokesperson Tabatha Yang, education and outreach coordinator for the Bohart Museum. It's free and family friendly. The event, always held the Saturday of Presidents' Day weekend, is billed as a “free, educational event for the community where visitors get to meet and talk with UC Davis scientists from undergraduate students to staff to emeritus professors and see amazing objects and organisms from the world around us.” Parking is also free. Maps are available on the Biodiversity Museum Day website at http://biodiversitymuseumday.ucdavis.edu/. You'll see a golden eagle, great-horned owl, pollinator plants, honey bees, dinosaur bones, polar bear and bobcat specimens, yeast cultures, wine brewing, chocolate plants, sensitive plants (touch them and their leaves fold), mosses, ferns, nematodes and a Humboldt squid, just to name a few of the attractions.